It is reported that some staff members were concerned about being singled out online if they were identified while they spoke out during the meeting. The firm said it would "find a better way" to help employees discuss the issues raised by the memo. Mr Damore was fired for breaking Google's code of conduct. He had suggested in his internal note that there were fewer women in tech and leadership positions because of biological differences. 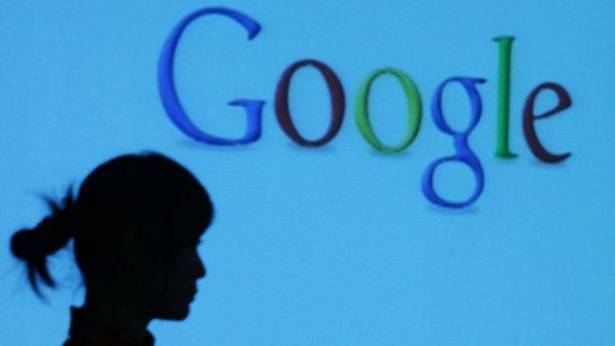 According to Google's most recent diversity figures, 80% of its tech workforce and 75% of its leaders are men. "We need to stop assuming that gender gaps imply sexism," Mr Damore wrote in his note, which was widely criticised. Mr Damore said he had been sent messages of support from some staff at the tech giant and he also received a job offer from Wikileaks founder Julian Assange, who tweeted "censorship is for losers". Google's new vice-president Danielle Brown said that Mr Damore's view "advanced incorrect assumptions about gender". "We are unequivocal in our belief that diversity and inclusion are critical to our success as a company, and we'll continue to stand for that and be committed to it for the long haul," she wrote in a statement published by Motherboard.